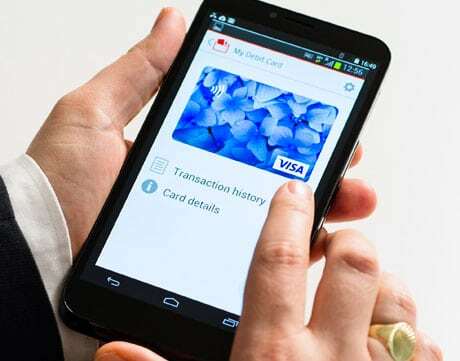 Vodafone customers in five major European markets will be able to use their Visa cards to make NFC mobile payments from the second quarter of this year with a new SIM-based service that makes use of tokenization technology. “To use the service, customers will input their bank cards to the Vodafone Wallet app, where an alias of each card is stored securely in the Vodafone NFC SIM, confirm ownership of the card using Verified by Visa authentication, pay by tapping their phones against a contactless point-of-sale terminal and check their mobile payment transaction history using their phones wherever they are,” Vodafone explains. The service will be rolled out in the five markets where Vodafone Wallet is available today — Germany, Spain, the UK, Italy and the Netherlands. Currently users can add loyalty cards to their Vodafone Wallet as well as pay with Vodafone SmartPass, a prepaid service launched in partnership with Visa in 2013. Today’s announcement represents the first time users can add a Visa card to their mobile wallet. The tokenization platform used by Vodafone is supplied by Canada-based Carta Worldwide. “We are the tokenization provider for this, and the tokenization processor, so we’re doing all of the processing and processing mapping and provisioning for this technology,” Brian Semkiw, Carta’s CEO, explained to NFC World. “From a capabilities point of view, the technology is as capable — and I would argue that it’s even more capable — than anything else that’s in the market right now. Although it is working only with Visa for now, the platform enables Vodafone to work with other payment networks in the future. “There is no technology limitation to what they want to do, if they want to work with other [payment] networks or anything like that. That’s up to Vodafone and their agreements with other networks,” Semkiw continued. “If those were to happen in the future, we could support that, but that isn’t in the initial roll out. It’s a Visa product. “Everybody is fighting for the consumer because it’s understood that payments will be mobile,” Semkiw added. “I think everybody believes that one day, everybody will use something else other than cash or plastic as their primary payment device. The telcos, with HCE coming into place in particular, had to rethink their strategy. “Nevertheless, they have a very valuable asset in the SIM and they have it in place with billions of customers. A telco like Vodafone, the second largest telco in the world — and I would argue the most innovative in the world — is saying no, we want to be in the payments business, and not only are we going to be in the payments business but we’re going to be in the payments business in a big way. “Telcos are really back in business as a result of this announcement. I think a lot of people have been writing them off but there are a lot of valuable assets that telcos have that give them an advantage as they enter the space. I expect them to do extremely well; they will be a very significant competitor,” concludes Semkiw.